Ben Jonson said William Shakespeare had “small Latin and less Greek”. I can go Bill Shakespeare one better. I have a smattering of Latin and no Greek whatsoever. The Latin comes from school, and I can still struggle painfully and slowly through a Latin text if there’s a lexicon handy. The lack of Greek comes from pure ignorance, though I did pick up a very few Greek words (in Anglicised spelling) when I was studying theology (“Parousia” etc.). Yet I know that great works of ancient literature lurk in this language I cannot understand, so I have had to read them in English translations. Some years back, this led to an interesting adventure in reading. At the time, I was working my way methodically through the poetry of Louis MacNeice, when I came across a Faber reprint of MacNeice’s translation of Aeschylus’s Agamemnon – a translation MacNeice made as a young man in 1936. I read it with great pleasure. This in turn led me to find in a second-hand bookshop a trim little hardback in the Oxford World Classics series of Lewis Campbell’s (late nineteenth century) translations of all seven surviving plays by Aeschylus (born c.525 BC – died c.455 BC). As with the works of the other canonical ancient Greek dramatists (Sophocles, Euripides, Aristophanes etc. ), only a fraction of Aeschylus’s oeuvre has survived. He is believed to have written over seventy plays. I read my way through all seven surviving plays by Aeschylus, taking notes as I went. I was, however, aware that there was something stilted in the translations, which perhaps (remember, I don’t know the original Greek texts) had something to do with Lewis Campbell’s Victorian locutions and the influence of English Romantic poetry on his vocabulary choices and versification. So I went off and found the two Penguin Classics paperbacks of Philip Vellacott’s translations (done in the 1950s and 1960s) of all Aeschylus’s plays. Far more accessible than the Lewis Campbell translations they were, too. Later still, I acquired the American Robert Fagles’ 1970s translations of the three Orestes plays, so now I have had the pleasure of reading the Agamemnon in four different translations. 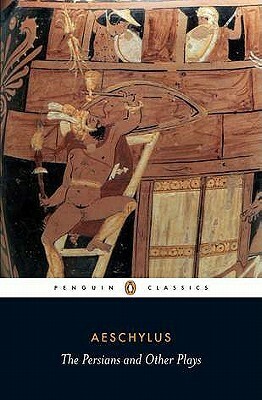 The Agamemnon is still my favourite play by Aeschylus, and apparently the dramatist’s most esteemed play. I might one day deal with it on this blog. But for purely devious reasons, which will become evident only later in this notice, I am dealing here with Aeschylus’s The Persians, which I know in the Campbell and Vellacott translations. According to the apparatus criticus of the translations, The Persians was first performed in 472 BC and is the only surviving part of what was originally a trilogy, each part of which might have told a story of presumptuous and hubristic human behaviour being punished by the gods. (Naturally there has to be much speculation here, as the other two parts of the trilogy no longer exist.) It is unique among surviving ancient Greek plays in that it deals with contemporary events rather than with tales from legend and mythology. The Persians concerns the attempt of Xerxes’ Persian Empire to crush the Greeks in 480 BC. Specifically, it refers to the Persian defeat by the Greeks at the Battle of Salamis – which had happened a mere eight years before Aeschylus wrote his play. 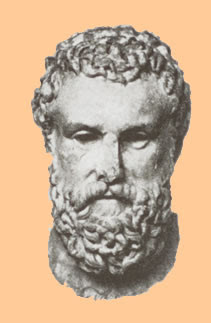 As a patriotic Athenian who bore arms, Aeschylus himself is known to have fought against the Persians at the Battle of Marathon ten years before the Battle of Salamis, and he may indeed have fought at Salamis as well. So here we have a play about Persians, written by a patriotic Athenian who had fought them. Atossa, the widow of Darius, emperor of the Persians, expresses to the Persian elders (her late husband’s contemporaries) her fearful dreams. The Chorus have been expressing their apprehension at the fate of the huge army that Atossa’s son, the emperor Xerxes, has sent to fight the Athenians. A Messenger enters, and in great detail he recounts the Persian defeat at Salamis – first listing all the famous Persian nobles and generals and allies who have been killed, then giving an account of the strategy which enabled the outnumbered Athenians to trick the huge Persian fleet into fighting in narrow straits. Xerxes and his allies are said to be retreating in disarray. Atossa asks the Chorus woefully if they can raise the ghost of Darius. They do so. The ghost of Darius reproves his son Xerxes for foolishly fighting the Athenians and for listening to flattering councillors who urged him to seek glory in war. He also predicts that the Persians will be defeated again (referring to another Greek victory which happened after Salamis but before Aeschylus wrote his play). When the ghost of Darius departs, Atossa asks the Chorus to care for the defeated Xerxes. She leaves to find seemly clothes for her son, as she has heard he is tattered and torn. After she leaves the stage, Xerxes enters in rags and with an empty quiver. He and the Chorus lament the desolation of defeat as the play ends. “How swiftly came fulfilment of old prophecies! Trusted the gods would defer for many years. But heaven takes part, for good or ill, with man’s own zeal. Part of Xerxes’ hubris was his foolish attempt to work against nature by making a bridge of ships across the Hellespont – but even this strategy did not save him from defeat. Of course my bare reading-diary summary here does not account for the poetic nature of the play, the choruses and the ritualistic way in which classic Greek plays were structured. I am not qualified to comment on these things. I am responding to English-language texts. As soon as I read The Persians, I could see that a large part of its purpose was triumphant Athenian propaganda. The Greek fleet of 300 ships has faced down and destroyed the Persian fleet of 1000 ships. This fact is being celebrated. Further, the Greeks are an alliance of different states. They do not have one unquestioned leader who claims divine status, as the Persians do; and the Persians have been destroyed by the rashness of their one “divine” monarch. Could this be a celebration of Athenian “democracy” (i.e. the rule of a very select group of freemen) in opposition to Persian autocracy? Again, I do not know enough to make a call on this. But one thing I found very interesting. Aeschylus does not present the Persians as monsters or fools. There is something pitiable in the way the burden of the play is carried by an old woman (Atossa), a chorus probably made up of old men (Darius’s contemporaries), and a ghost – before the pathetic figure of a ragged, defeated king appears. We feel sorry for these people – sorry in part because they have been betrayed by the foolishness of a man who arrives very late on stage. Much of the pity of war is conveyed even if, through the mouth of the Messenger, we hear much of the military prowess of the Greeks. To this extent, at any rate, the play has for me some of the feeling of Euripides’ The Trojan Women – it is in part a lament for the destructiveness of war. Yet, withal, it is mainly an Athenian yelp of triumph. Now why, gentle reader, have I discoursed this week on Aeschylus’s The Persians? Not so long ago, my wife and I went with our eldest daughter and our 8-year-old grandson to the Pop-Up Globe in Auckland to see a performance of Shakespeare’s Henry V. It was our grandson’s first Shakespeare and we were delighted that he stood with rapt attention (we were groundlings) for the full length of the play. 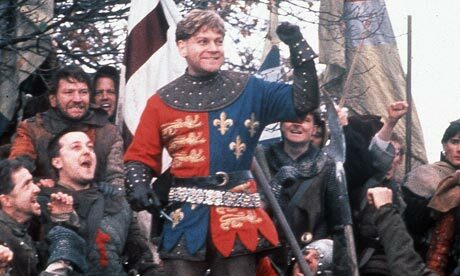 He was enthused by the vigorous action and delighted when Henry V stepped among the audience and directly addressed him as if he were one of his soldiers. (I, on the other hand, got splattered with fake blood – we were standing right next to the stage – in one scene where a French nobleman had his throat slashed.) It was an excellent production in every respect, observing the Elizabethan and Jacobean convention of being played by a male-only cast. Mistress Quickly and her whores, and the French Princess Katharine, were played by men in drag. But it is not my purpose here to be a drama critic. What interested me was the persistence of propaganda. Like The Persians, Henry V is the story of a small plucky force defeating a larger and over-confident force. As history, Shakespeare’s play is very dodgy. No real historian would accept the play’s absurd claim that at the Battle of Agincourt only 29 English soldiers died for the loss of 10,000 French. The play is filled with jingoistic, rousing speeches (“Once more unto the breach dear friends…”; “God for Harry, England and St George” etc. ), some of which were recycled by Winston Churchill in the Second World War. And, of course (unlike The Persians), it celebrates a victory, which was at best temporary. A little more than a decade after Agincourt, the French re-grouped (Joan of Arc etc.) and proceeded to defeat the English in a series of battles. The English might have won some of the battles (the Black Prince at Crecy; Henry V at Agincourt) but in the end it was the French who won the Hundred Years War. So here is a play celebrating as a definitive triumph an atypical part of a longer conflict. Shakespeare himself was aware of this – he had already written (or patched up from other people’s writing) his three Henry VI plays, which cover England’s later losses to the French. This is even mentioned in the Chorus’s last speech in Henry V.
Even so, Henry V is essentially patriotic propaganda. But, like Aeschylus, Shakespeare was in this play a propagandist of genius. Note how, as in The Persians, much praise for the valour of “our” side comes from the mouth of our enemies – the French Herald Mountjoy (who is presented sympathetically) and others. Thus (as when we hear the Persian Messenger describe the Battle of Salamis) we are reassured that this heroic depiction of our lads in battle is an objective fact. Note how, as in The Persians, the playwright presumes to know what was being said in the enemy court. Just as the shade of Darius laments the rashness of his son Xerxes, so does the (feeble and mentally-unstable) French King Charles VI lament the rashness of his son the Dauphin. There was, of course, no way that either dramatist could possibly know what the enemy was really saying (come to think of it, Shakespeare had no way of knowing what was said in an English royal court either). But again, the effect is to create an illusion of authenticity. Even the enemy judges their commanders negatively! 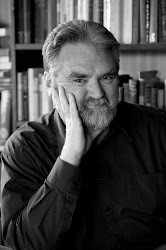 I would also add that in both plays, the playwright gives some sympathy to the enemies and their losses, and sometimes strikes a note of sorrow at the fact of war. After all, Shakespeare’s play goes on to have the victorious English king marrying into French royalty, so he cannot depict the French as complete inferiors. Shakespeare does, however, have to strive much harder than Aeschylus does to justify his country going to war in the first place. The Athenians were responding to Persian aggression. 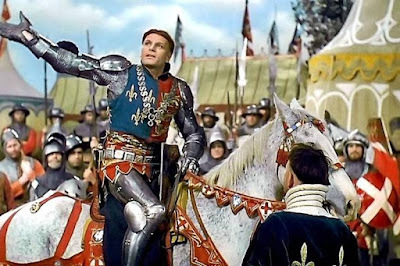 Henry V is the aggressor who wages war on very feeble premises – hence the long opening scene of Henry V with its discussion of Salic law and the later scene in which Henry, in disguise, justifies to his soldiers a king leading his men into probable death. Is there the whisper of a bad conscience here? In one particular Shakespeare is a better propagandist than Aeschylus. Unlike Aeschylus, he makes some concessions by admitting evils done by his own countrymen. Thus there is Henry V’s execution of three noble English traitors, and later the hanging of Bardolph for looting a French church. (Shakespeare might have been freer to make this sort of concession as he was writing nearly 200 years after the historical events on which Henry V was based. Aeschylus was writing only eight years after the events on which The Persians was based.) Again, however, this apparent impartiality ends by stressing the justice of Henry V and therefore solidifying the image of a righteous warrior king. In comparing Henry V with The Persians, then, I am simply confirming that the arsenal of the propagandist is a very ancient one. A play 2,500 years old and a play 400 years old have much in common in the ways they incite their audiences to see “our” victories as glorious and heroic, to see “our” enemies as poorly-led, hubristic and deeply flawed in their strategies; and yet to concede much of the pity of war. Many of the stratagems of Aeschylus and Shakespeare are the stratagems of the scriptwriters of wartime propaganda films (the enemy who says about us the things we want him to say, etc.). The difference is that, in these particular plays, the propaganda of Aeschylus and Shakespeare is such brilliant propaganda.